Dr. Orly Avitzur will be serving as faculty along with Dr. Neil Busis for the Technology Program at the 2003 Winter Conference January 17-19, 2003 in Florida. For further details log on to www.aan.com/professionals/cme/aan_win.cfm. Any well-run company knows the cost of doing business – from the local deli where you buy your coffee to the automobile company that manufactures your car. But if neurologists are asked how much it costs to see an office patient, few can provide the answer or know what it means to perform cost accounting. Why is this important? 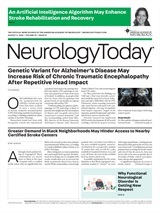 Overhead costs for neurology practices are rising steeply without a corresponding increase in revenues – a trend that can seriously affect our bottom line. According to cost survey data from the Medical Group Management Association (MGMA), overall operating costs for medical multispecialty practices rose more than six percent in 2000 and the cost of medical and surgical supplies increased more than nine percent – with neurology cited as one of the specialties hit hardest by the increase. MGMA data for 2001 reveals another five percent increase, predominantly attributed to costs for support staff, professional liability insurance, and medical supplies. Although we may complain about earning less, few of us take the time to scrutinize the numbers and create processes to manage our costs. With a new year just around the corner, this may be an ideal time to look back on your 2002 annual expenses and strive for a superior level of performance in 2003. Why do some practices have less overhead and more affordable operating costs than others? Experts say it all boils down to good administrative and budgetary oversight. Those who keep their costs down usually have a working knowledge of their annual expenses and the costs for individual services and procedures. Moreover, they maintain regular budgetary procedures. To avoid losing money, experts say, neurologists need to determine the cost of providing care. By itemizing expenses associated with each service, neurologists can identify areas of service that are not profitable, said Marc Nuwer, MD, PhD, Chairman of the AAN Medical Economics and Management Subcommittee, and Professor of Neurology at University of California-Los Angeles. Dr. Nuwer recommends that ancillary services be examined first. “With current reimbursements in decline, unless a critical mass of services is provided, you may be operating at a loss. For example, if you are using a technician to do EEGs, and are performing fewer procedures than in the past, you may no longer be covering the cost for that service and other related expenses – the same goes for a physical therapist, neuropsychologist, or nurse practitioner. “You need to continuously look back and re-assess that part of the practice,” he added. Small practices may benefit, for example, from hiring a technician that can perform additional functions such as carotid ultrasound or nerve conduction studies. Most accountants separate out physician expenses such as salary and benefits, including travel, auto, retirement, and continuing education, as well as insurance expenses; the remaining costs are considered “practice costs.” In order to determine these costs, accountants need to know the number of procedures performed by CPT code, the total charges and payments for these services, and of course, your practice expenses and income. Knowing your true costs will allow you to eliminate unprofitable services and market your more profitable services. Review expenses by categories and compare them to reports from prior quarters and years. Be specific. Instead of lumping together “supply” costs; subcategorize these into office/secretarial, patient/medical, EMG-related, EEG-related, etc. If you find any fluctuations, investigate them. For example, if supply costs went up, was there increased usage and pricing, or a vendor change? If staffing costs went up, was that due to expenses for a receptionist, billing, transcription, benefits, or overtime? Review each category and individual item. Is there an expense based on outdated needs? If you are in a well-established practice, do you still need to spend money on advertising? Are you outsourcing a service that can be moved in-house? Is there a less expensive supply company that can be used? Investigate group-purchasing cooperatives and compare costs; your medical society or physician hospital organization may be affiliated with these groups. If you buy expensive supplies such as EMG needles in bulk or together with a larger group of physicians, you may be able to negotiate a substantial discount. Some online vendors specialize in medical equipment and supplies and offer attractive promotions and discounts. Computers, printers, and copiers can often be purchased more economically over the Internet. If you are hesitant to make an online purchase, bring a printout of the item to your local retail store; the store will likely agree to match the price of the item in order to keep you as a customer. Other sites offer comparisons of telephone company services and rates. You can also decrease your advertising expenses and market your practice through free services such as physician Web sites; these not only promote your expertise but also reduce secretarial time spent on directions, patient instructions, and filling out forms. 22.35 percent – percentage of gross revenue spent on employee support staff salaries. Naturally, even among neurologists, staffing needs vary. If you perform many legal or hospital consultations, you may require less staffing than a neurologist who has busy office hours and does a high volume of outpatient evaluation and management services. If your practice focus has shifted or you have had a change in the number of neurologists, re-examine your staffing requirements. If you are using an accountant to do your office payroll and bookkeeping, hiring a bookkeeper may reduce your accounting expenses substantially. If you go to a satellite office where the secretarial demands are much lighter, are there tasks that can be performed there to assist the main office? Overhead costs for your facility extends beyond the cost of rent. Is the space being used to maximal efficiency? Does every physician need a private office? Is every examination room being used during office hours? Is there an opportunity to increase efficiency by adding extended hours to make greatest use of the equipment and facility costs? If you go to a satellite office, are you sure it is profitable? Leased equipment may be another source of bleeding dollars. Do a cost-analysis to be certain your practice has a sufficient demand for the equipment. Evaluate what your leases are costing you. Ask your accountant to assist you; you may find that an outright purchase is less costly. Groups such as the MGMA, American Medical Association, and American Medical Group Association also provide data that can be used as benchmarks for practices to compare performance such as overhead. The MGMA cost survey for 2001, for example, found that the average total operating cost for neurology practice was 51.63 percent. It also provides neurology-specific information and breakdowns per physician, provider, patient, and total medical revenue. Finally, if you have a troubled bottom line, the real problem may lie more deeply than with expenses. If you have signed unprofitable managed care contracts, forgotten to bill for in-patient services, have an outdated or poorly functioning practice management system, or your staff spends too much time on the phone with certain payers trying to collect or pre-authorize services, you need to look more closely at the total operations. ✓ Itemize expenses associated with each service. ✓ Review costs by categories and compare them to reports from prior quarters and years. For example, subcategorize expenses in these categories: office/secretarial, patient/medical, EMG-related, EEG-related, etc. ✓ Perform a cost analysis of ancillary services – such as the technologist who performs EEGs – to determine if these services are profitable or not. ✓ When buying supplies, investigate group-purchasing cooperatives and compare costs. If you buy expensive supplies such as EMG needles in bulk or together with a larger group of physicians, you may be able to negotiate a substantial discount. Also consult the Internet for special promotions and discounts on medical equipment and supplies. ✓ Evaluate overhead costs for office space – how offices are being used and how often equipment is used and needed. ✓ Compare your staffing and other expenses costs with other neurology practices by using benchmark data from the Medical Group Management Association and other sources.